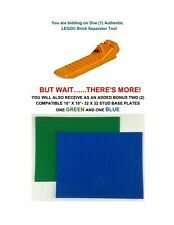 Showing results for "lego separator"
Have Questions? Frequently Asked Questions | Contact Us | Store Policy LEGO by Room Copenhagen Friends Storage Brick 2 Toy Box OUR SKU# LCPH1019 | MPN: 40020641 Condition Brand New Shipping Ships In 4 days. With a transit time of 1-5 business days Standard Ground (e.g. UPS, FedEx). Product Details Features Made from ultra durable plastic Food-safe and PVC-free Stackable Clean with soap and water Friends collection Product Type: Toy box Frame Material: Plastic Gender: Neutral Dimensions Overall Height - Top to Bottom: 15 Overall Width - Side to Side: 11 Overall Depth - Front to Back: 15 Overall Product Weight: 1.23 lbs See More Like This Wayfair, LLC, 4 Copley Place, Floor 7, Boston, MA 02116, United States © 2002-2015, Wayfair. All rights reserved. eBay Lego Storage By Room Copenhagen 40230632 Lego Lunch Box,- Choose Sz/color. Have Questions? Frequently Asked Questions | Contact Us | Store Policy LEGO by Room Copenhagen Storage Brick 8 Toy Box OUR SKU# LCPH1013 | MPN: 40040620 Condition Brand New Shipping Ships In 4 days. With a transit time of 1-5 business days Standard Ground (e.g. UPS, FedEx). Product Details Features Made from ultra durable plastic Food-safe and PVC-free Stackable Clean with soap and water Product Type: Toy box Frame Material: Plastic Gender: Neutral Dimensions Overall Height - Top to Bottom: 7.08 Overall Width - Side to Side: 19.68 Overall Depth - Front to Back: 9.84 Overall Product Weight: 4.4 lbs See More Like This Wayfair, LLC, 4 Copley Place, Floor 7, Boston, MA 02116, United States © 2002-2015, Wayfair. All rights reserved. Have Questions? Frequently Asked Questions | Contact Us | Store Policy LEGO by Room Copenhagen Storage Brick 4 Toy Box OUR SKU# LCPH1012 | MPN: 40030620 Condition Brand New Shipping Ships In 5 days. With a transit time of 1-5 business days Standard Ground (e.g. UPS, FedEx). Product Details Features Made from ultra durable plastic Food-safe and PVC-free Stackable Clean with soap and water Product Type: Toy box Frame Material: Plastic Gender: Neutral Dimensions Overall Height - Top to Bottom: 7.08 Overall Width - Side to Side: 9.84 Overall Depth - Front to Back: 9.84 Overall Product Weight: 2.14 lbs See More Like This Wayfair, LLC, 4 Copley Place, Floor 7, Boston, MA 02116, United States © 2002-2015, Wayfair. All rights reserved. 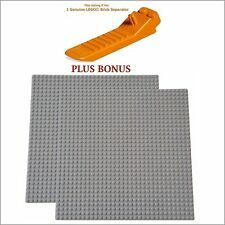 eBay Lego Storage By Room Copenhagen 40110631 Lego Mini Box 4,- Choose Sz/color.